Well I was skeptic at first, but it was only $1 for the free trial so I signed up and tried it out. If anyone could think of a reason why it is a scam I would like to know! So here is what I learned for anyone who has been nervous and wondering if First House Financial is a scam or not. The loan stays in the original homeowners name, and the title of ownership is transferred to the new owners name, and the mortgage is paid each month by the new owner of the property. This way the new owner does not need to take out a loan (credit check, down payment, liability) to obtain ownership in a property; and can even go out to sell the property to others, rent it out, run a business, or live in it. What an awesome deal! Heres what else is cool, the original owner that was facing foreclosure then gets the foreclosure off his record and does not have the repercussions of short-sale; also the monthly payments builds his own credit score so he can get things back on track. The new owner can also leave the property at anytime since the loan is not in his name, by quitting payments the title would just go back to the original owner. This way the new owner can see if a property has any foundation issues etc. before committing themselves to refinance the loan balance. They also get to take over where the loan is remaining so up to 95% discount! Super cool service! Thought I'd let ya'll know before anyone was quick to judge. Last edited by Jessyka_Dish; 07-09-2011 at 11:21 PM. this is crap! the property title belongs to the finance company until the loan is paid or otherwise settled. the borrower has no power to transfer ownership. if you want somebody else to live in the property, making payments, you just rent it out. no need for first house financial to ever be involved. crap! 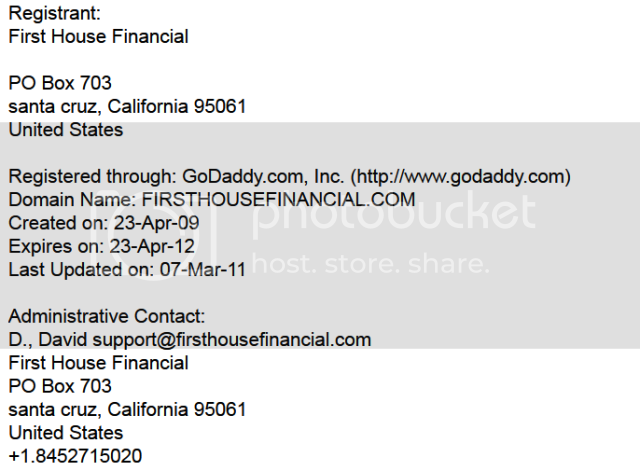 No, such business appears to be listed with the California Secretary of State at kepler.sos.ca.gov as either a LLC or a corporation, at least under the name, 'First House Financial'. Per, Whitepages the phone number is a unlisted landline, AnyWho also can not find a phone listing. Actually the title of ownership belongs to the owner and he can sign it away with a quit-claim deed or grant deed even when defaulting on his mortgage. A renter would not negotiate clearing the default amount. Thank you! 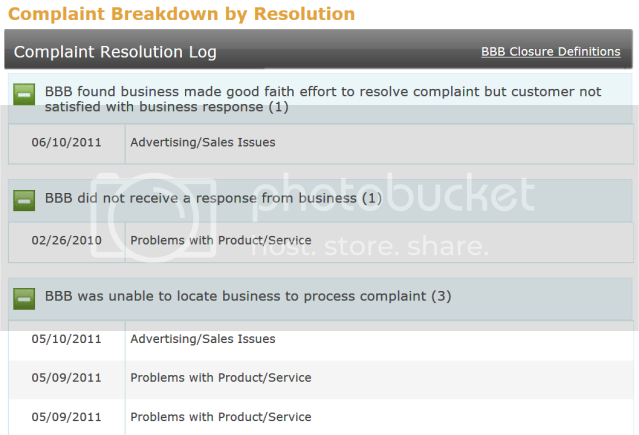 You had failed to put the entire BBB report (it says at the bottom that the company was created in early 2010). By all means 5 complaints in this span of time is not bad at all. The BBB gave the terrorist organization 'Hamas' an A+ rating mind you. FHF is a sole-prop not corporation, the phone number is listed on the website and the bbb report. Thank you! 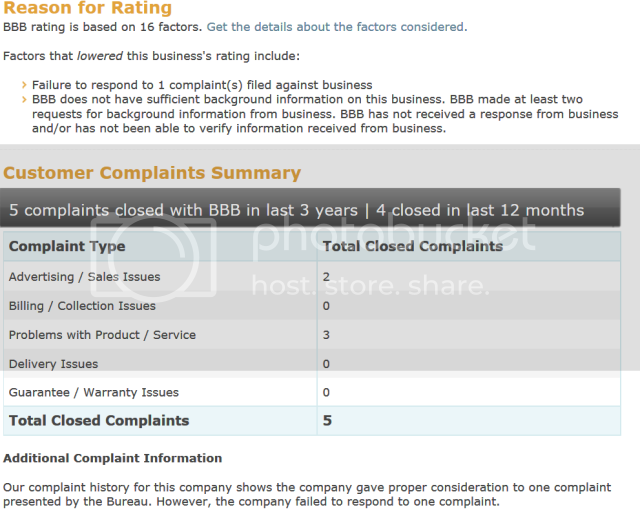 You had failed to put the entire BBB report (it says at the bottom that the company was created in early 2010). Looks like I linked to the entire BBB Report to me. And the BBB Report says nothing about when this company was created. It does say that the BBB file was created on 26FEB2010. The report does say that the BBB has tried more then a few times to get background information on this company. And has either not gotten a response or was unable to confirm the information. By all means 5 complaints in this span of time is not bad at all. Being that the BBB only keeps complaints on file for 3 years and that your business BBB file is only a year and a half old, no that isn't that bad. Except, that 4 of the 5 complaints were in the last 2 months. The BBB gave the terrorist organization 'Hamas' an A+ rating mind you. Well, that doesn't make things look any better for your BBB Report there now does it? Are you actually trying to say that Hamas is better at answering consumer complaints then your company? Yes, I think it's already somewhat obvious that this is likely a home based deal that uses a unlisted telephone number and PO Box. 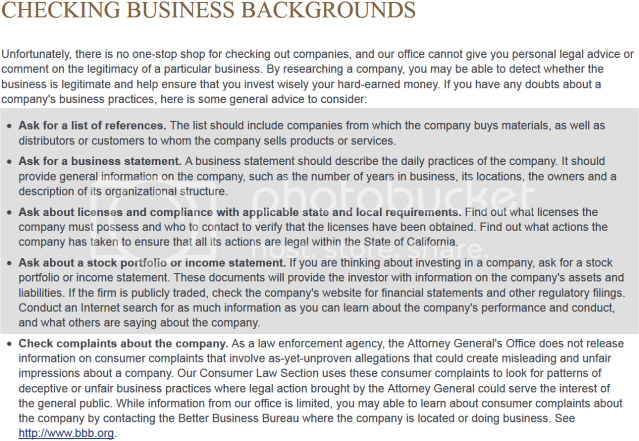 Perhaps, it is best then that if a consumer has a problem with your company that they forgo filing a complaint with the BBB. Instead file a complaint with California Attorney General. Couldn't help but notice the link at the bottom, http://www.bbb.org/. Last edited by nomaxim; 07-10-2011 at 02:57 PM. Pretty sad when a company has to run around making positive posts about itself while pretending to be a customer. 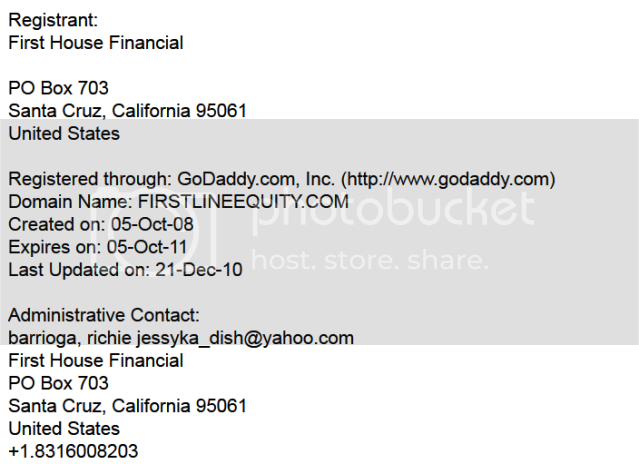 Notice the e-mail contact for the second domain, Firstlineequity.com. is the same username as the thread starter, Jessyka_Dish. Even uses the company's phone number, 831-600-8203. Oh, and the other phone number, 845-271-5020, comes back at whitepages.com as a cell phone in the New York area. My MLM Experience Is Old? Who Has Experience With Paula Scarcella? Post your experience here!